At approximately 32,600 sqm, this is one of the largest indoor waterparks in the area. All water loves are welcomed year-round by more than eight exciting, Nordic themed areas. 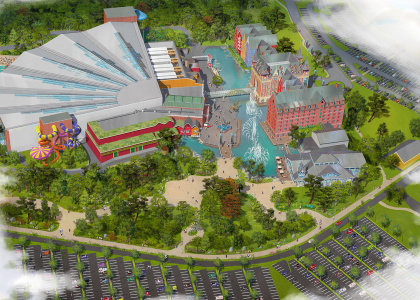 Each of the areas will feature unique attractions that are very heavily themed. 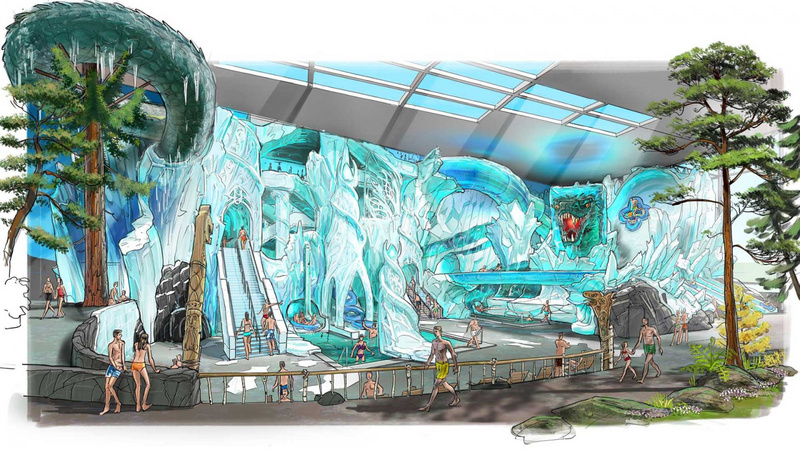 The resort will feature one area; mystic ‘Trøll Valley‘ , that is equipped for the needs of all little visitors. The other 7 areas will be geared for older kids, teens, and adults! Just check out this immersive theming to this “ice” area. It is nuts! 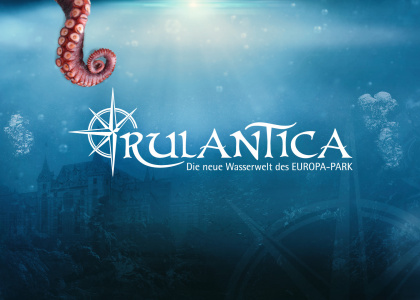 In total 25 attractions – those include 17 spectacular water slides, Germany’s biggest wave pool, a relaxing ‘Mystery River’ as well further highlights – all for guaranteed pure water fun. If you feel hungry after enjoying all the water attractions, then you can take a rest and savour some delicacies from our varied F&B offer across the new themed world. Besides a generous family restaurant in the style of a boathouse, as well as a self-service restaurant you can find a café offering plenty of sweet treats. Water fans that don’t want to leave the pool to enjoy a well-deserved drink can conveniently swim to one of the cool pool bars in the indoor or outdoor area. 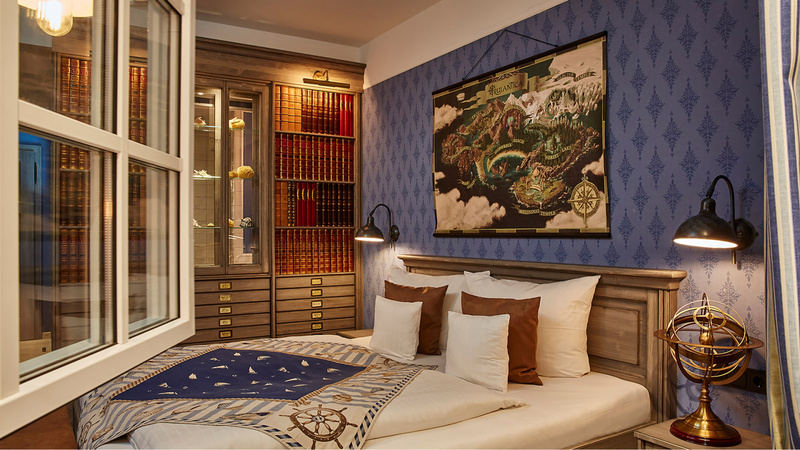 The resort will feature themed hotel suites as well as a multitude of restaurants and bars; all only minutes away from the famous Europa Park theme park. The resort is going to feature indoor and outdoor pools that guests can enjoy on seasonal occasions. All of the guest rooms will have a heavy theming element to them. Every time a guest stays at the resort they will feel like they are transported to another place in time. Construction has already been well underway on the Resort, and the property is set to open in spring of 2019. 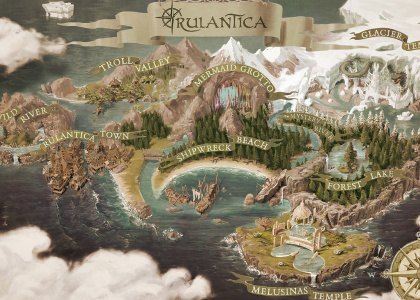 More information about the project will be revealed soon, so stay tuned and make sure you are following Theme Park HD for all the news and updates omniscience’s; ‘Rutlantica’. 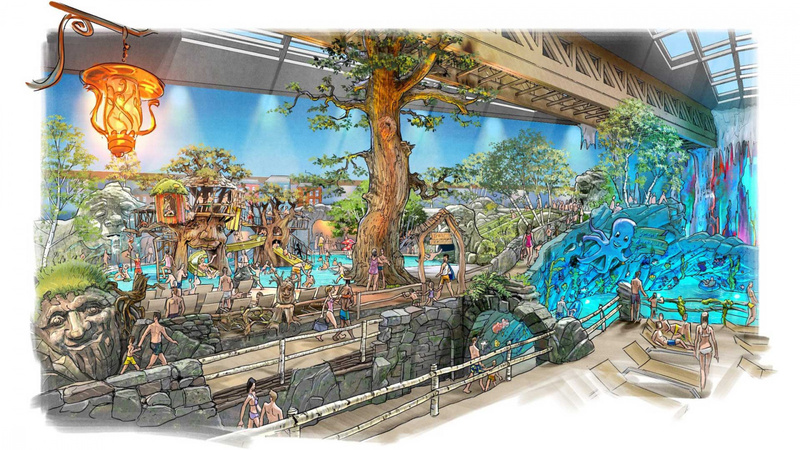 Do you think this will be the best indoor waterpark of all time?